They should still be under warranty, but its bummer to have to send them in and wait for the repair. 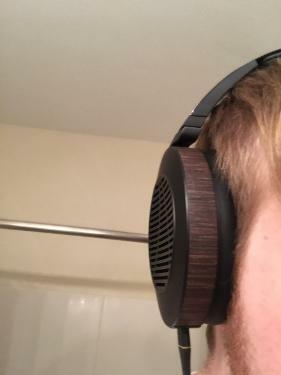 well atleast im glad its an audeze phone, their customer support atleast for me has been beyond godlike. But its kinda sad about the qc issues that the EL-8's had. After many many more hours on my open EL-8s, I can conclude that they do beat my ADAM A7s in terms of precision and transient response, and by quite a mile too. My perfect reference song for this is Rascal Flatts - Forever, at 1:02 you'll hear the drums kick in. With the Mojo + open EL-8s, you hear each transient and bass note extremely precisely, the sound is very precise. My ADAM A7s through the Mojo by comparison sound a little blurry and mushy. Now to be fair, I no longer have a treated room so that would definitely contribute, but it's still apparent that the EL-8s and planar technology can reproduce transients in a superior way. I auditioned a store's open EL-8s against the LCD-3 and LCD-X on Monday and at least at the store, the LCD-3 and LCD-X really blew away the open EL-8s, while the LCD-2s were pretty much in the same ballpark. But honestly, when I came home, I listened to the same songs and couldn't hear some of the problems I heard at the store. The store I tried them at had a pre-production pair of EL-8s and I wonder if they happen to be inferior to the final production version. I would ideally love to borrow a pair of LCD-X or 3s for a few days to listen to in my own home but I don't know anywhere in Melbourne, Australia that does this. Which is better in terms of sound quality, the LCD-2 Ver.1 or EL-8 open? ....the LCD-2s had a bit more bottom end and width at the expense of a little neutrality (it was pulled back more than the EL-8). I would apply that part of Zambz's comments above that I quoted, even to my Ver.1 of the LCD-2, but I would also add, that at least in my main system, the LCD-2 scales significantly better. This is very noticeable, especially with large scale symphonic music and Rock music, where there is a lot more more apparent space between the instruments with the LCD-2, to my ears, and the orchestra/band is further away. Depending on the type of music you listen to though, this may not be an important issue for you. I also would assume, although I haven't auditioned them, that the current version of the LCD-2 would be even better in most respects, than my 2010 Ver.1. The desktop setup I used to compare my LCD-2 with the EL-8 open, was a MacBook Pro, running Amarra for Tidal>RWA Isabellina LFP-V>LCD-2/EL-8. In a portable setup, I have tried my EL-8 open out of an iPhone 5, with a Fostex HP-P1 DAC/amp, and with a Pico Power amp. To my ears, the very neutral and revealing Fostex amp seems to brighten the sound of the EL-8 slightly, which for an already fairly neutral headphone, (at least compared to the LCD-2), does not appeal to me. The Pico Power amp, using the iPhone's internal DAC chip, obviously drives them better, but I am still very happy with the EL-8, just out of an iPhone 5. For me, the iPhone 5 volume settings are also more than enough to drive the EL8s to high enough volume levels, and I have never used the maximum volume level. In summary, while I think the LCD-2 scales better than the EL-8, the El-8 open is a great addition to a portable headphones setup. @Ridleyguy you are only the second person I know of that has a RWA Isabellina although the one that my friend has is the HPA LFP-V. One of the best sounding DAC/amps I've ever heard. Told my friend if he ever sells it to let me know. Thanks for your kind words about the Isabellina DavidA. I was looking for an all in one solution when I started in this hobby back in 2010, and first heard the original version of the Isabellina at CanJam 2010, where it was being used by Sennheiser for their HD800, and by ALO Audio for the LCD-2. I believe at that CanJam that Audeze were using a Cavalli amp. for the LCD-2. I liked it, but I wanted a DAC/amp in one box. i like that color, did you send it back to audeze? @natalieann, do you have pictures of the EL8 before you stained them? show them side by side if possible, or do the two pictures show stained and original? , do you have pictures of the EL8 before you stained them? show them side by side if possible, or do the two pictures show stained and original? Hmmm, for some reason it won't let post pics anymore? What in the world? This site is wacko sometimes, there are times when I can't even type 1 word without it crashing and telling me the browser needs to close and reopen. 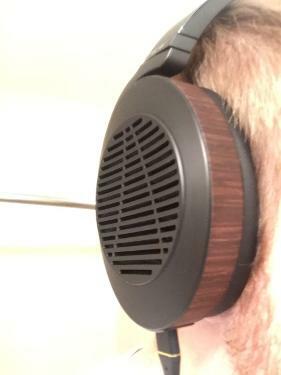 As much as I love my LCD2's, I don't think I will be buying another Audeze product. Now considering the Fostex TH900 or JH Angie. You know that the Fostex is not completely closed, it will leak some sound where the cup is attached to the frame, a little like a bass port.